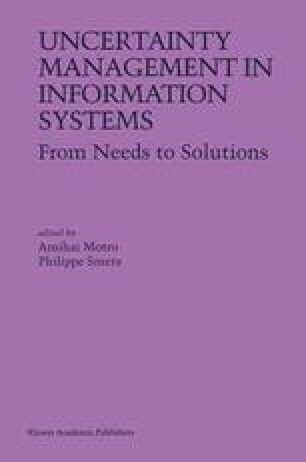 This is an evolving bibliography of documents on uncertainty and imprecision in information systems. By uncertainty and imprecision, we mean the representation of and query support for information that is fuzzy, unknown, partially known, vague, uncertain, probabilistic, indefinite, disjunctive, possible, maybe, incomplete, approximate, erroneous, or imprecise. Currently, the bibliography concentrates almost exclusively on database and knowledge-base systems, with few bl]References on other kinds of information systems.